With its rich culture and history, Italy can provide so many fascinating things for the visitor to see and do. In this video our specialists have picked seven of their most memorable experiences, from an impromptu dance with locals in a square in Florence to seeing a Caravaggio painting in a church in Rome. Italy specialist Caroline talks about her love of Italian food in this guide, focusing on the more renowned culinary cities and regions. She also talks about her experiences of creating pasta, catching fresh fish for dinner in Sorrento, wine tasting in Tuscany's Chianti region and where to eat like a local. 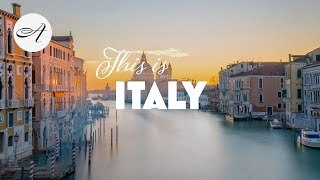 Italy has been at the forefront of so much: a military empire, art, architecture, cuisine and of course a penchant for style. For many however it’s still characterized by a handful of famous places. We highlight the key Roman sites of Rome, Pompeii and Herculaneum. A tour of a private palazzo, or a cooking class with a Sorrento grandmother? We highlight the major sights and unearth lesser-known attractions for some of our best-loved Italian regions, spotlighting tours that really explore their character.